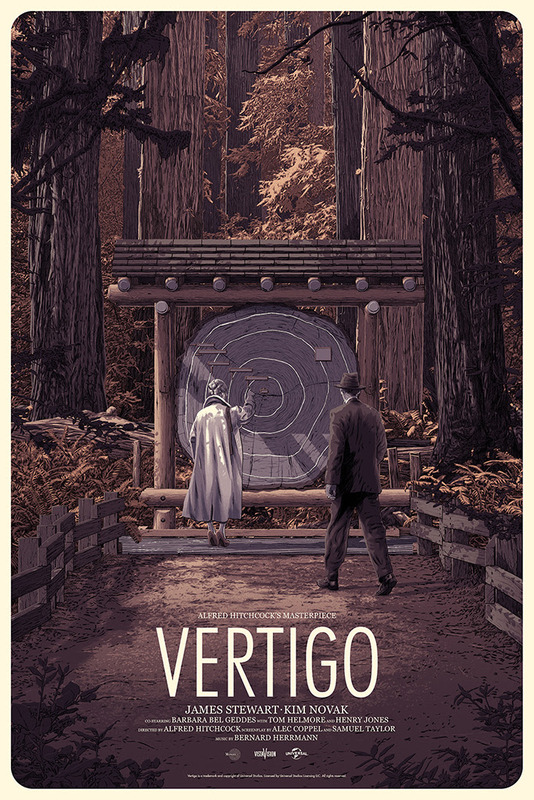 Mondo will have VERTIGO by Matthew Woodson & PSYCHO by Phantom City Creative available soon. On sale Tuesday, March 26th at a random time HERE. 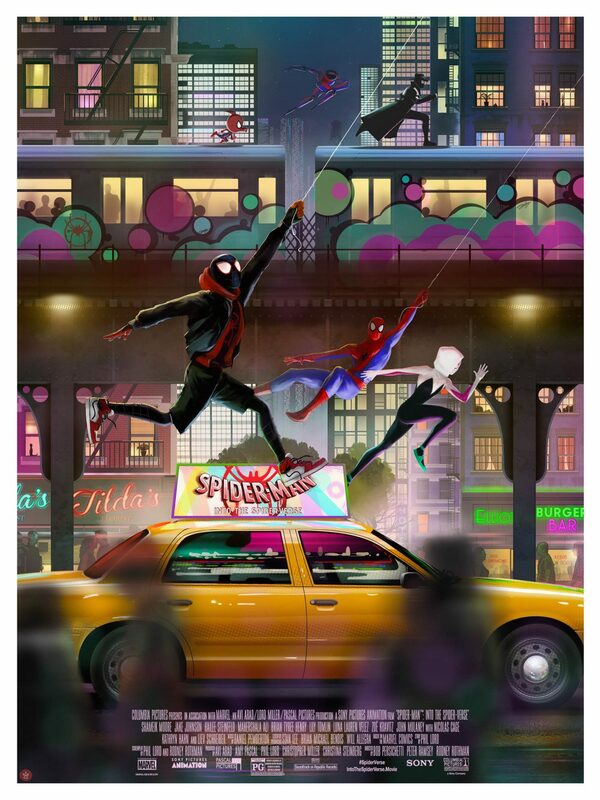 Grey Matter Art is very pleased to announce a new officially licensed, limited edition print for the beautifully animated movie, “Spider-Man: Into the Spider-Verse” by artist, Andy Fairhurst. This Academy Award winner for best-animated feature has become one of our favorite titles to work on, and we’re so excited to see what Andy did. 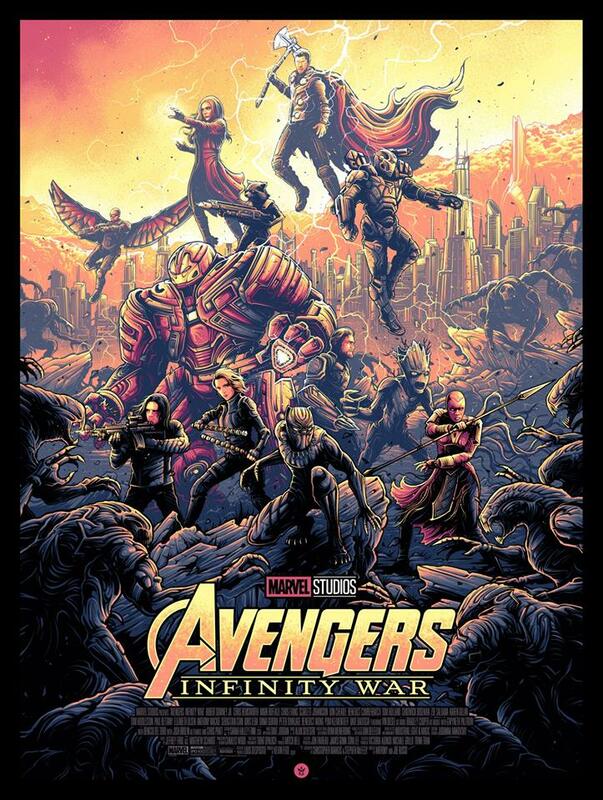 He seamlessly blended his style with art from the Spider-Verse movie to create this gorgeous and vibrant poster! On sale Thursday, March 28th at 1pm Eastern (10am PDT) HERE. 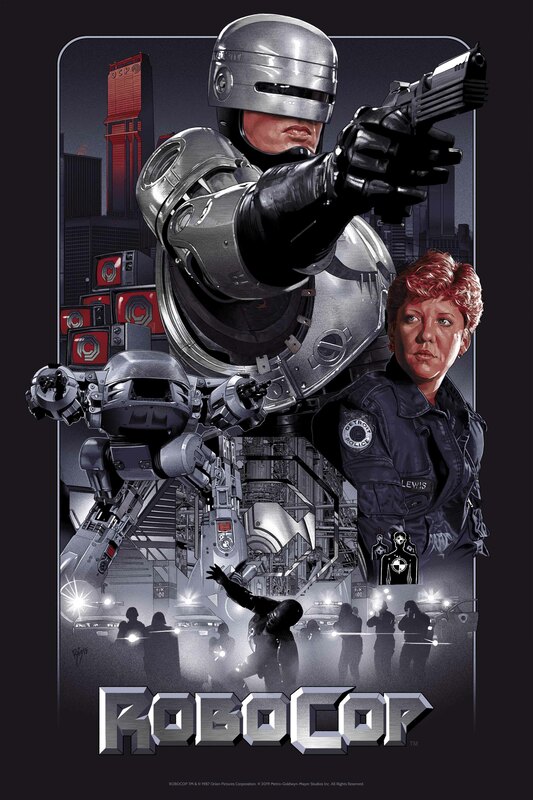 Bottleneck Gallery will have the 80s classic “RoboCop” by Mike Bryan available soon. On sale Tuesday, March 19th at 12pm Eastern (9am PDT) HERE. “We’ve been working on an exciting project for months, and today, alongside with Justin Ishmael of ISH, we’re ecstatic to announce our officially licensed screen print of Mike Bryan’s original painting for the sci-fi classic, RoboCop! 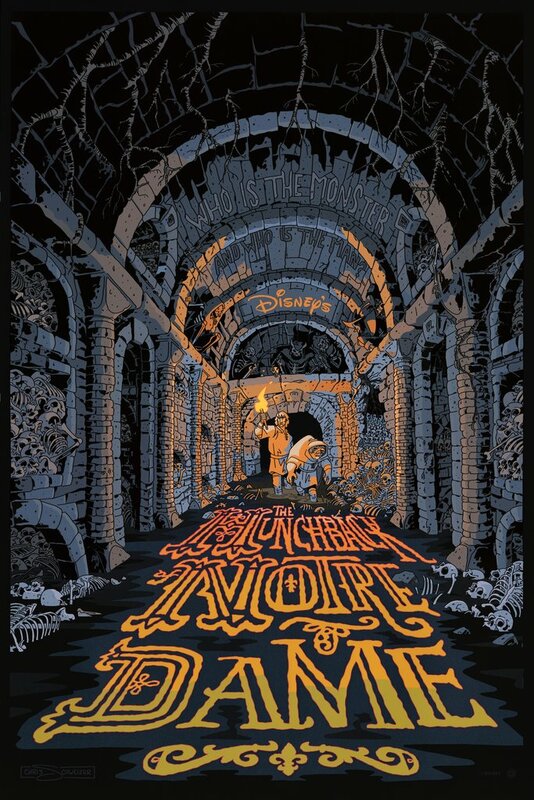 Cyclops Print Works now has “Hunchback of Notre Dame” by Chris Schweizer now available. On sale now HERE. Grey Matter Art is very pleased to announce a new officially licensed, limited edition screen-print for the Paul Verhoeven 80’s classic action film, “Robocop” by artist, Juan Carlos Ruiz Burgos. 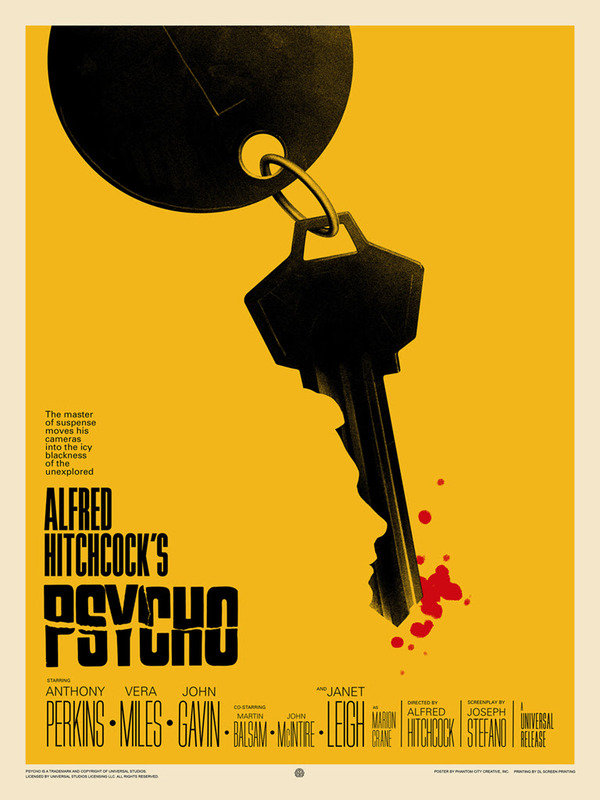 We have been very impressed by Juan’s work and were so happy to hear he wanted to create a poster for such a beloved movie of ours. It has been a pleasure working with him on this and we think he really captured Peter Weller’s character as a true protector over the seedy dystopian backdrop of Detroit. 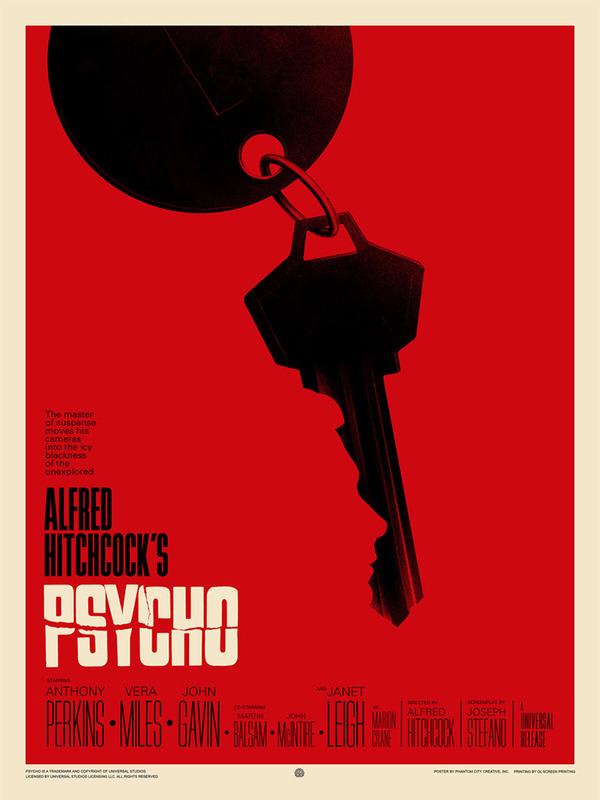 There are 2 separate editions for this poster, a Regular & Foil Edition. On sale Thursday, March 14th at 1pm Eastern (10am PDT) HERE. 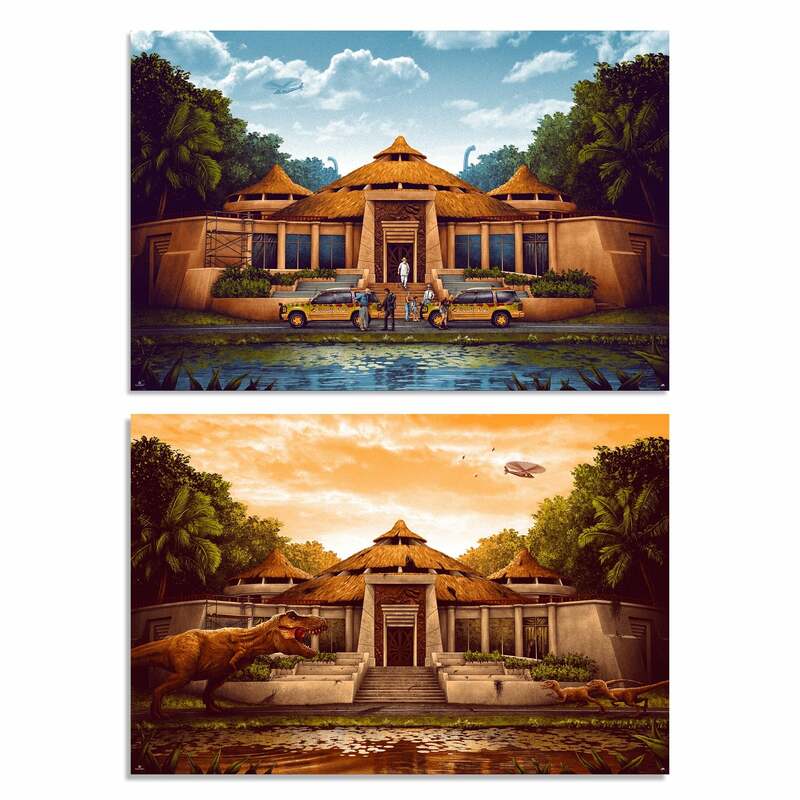 Bottleneck Gallery will have INDIANA JONES TRILOGY Prints by Karl Fitzgerald available soon. On sale Tuesday, March 12th at 12pm Eastern (9am PDT) HERE. 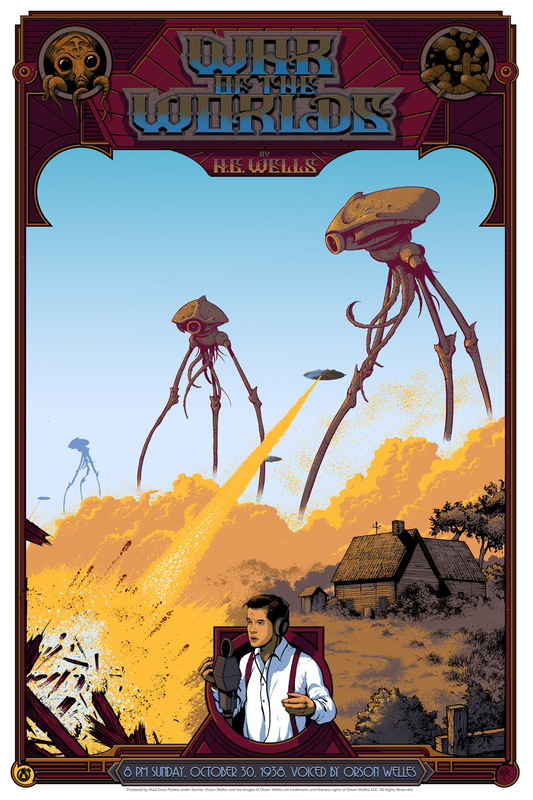 Mad Duck will have “War Of The Worlds” posters by Arik Roper available soon. 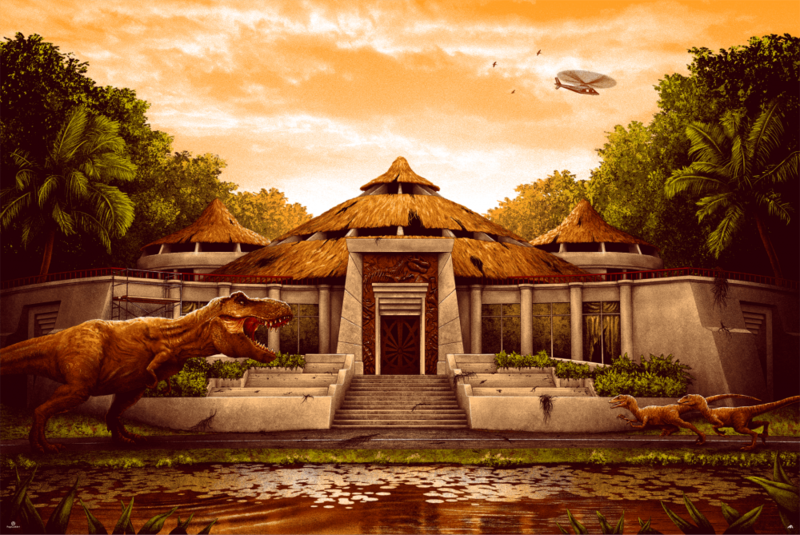 “The War Of The Worlds” is an episode of the American radio drama anthology series “The Mercury Theatre on the Air”. 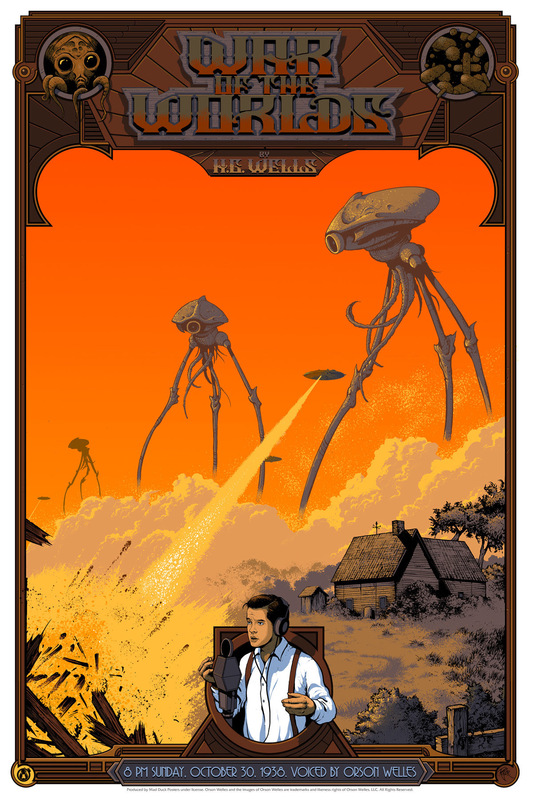 It was directed and narrated by the great Orson Welles as an adaptation of H. G. Wells’s novel “The War of the Worlds” from 1898. On sale Wednesday, March 13th at 12pm Eastern (9am PDT) HERE. 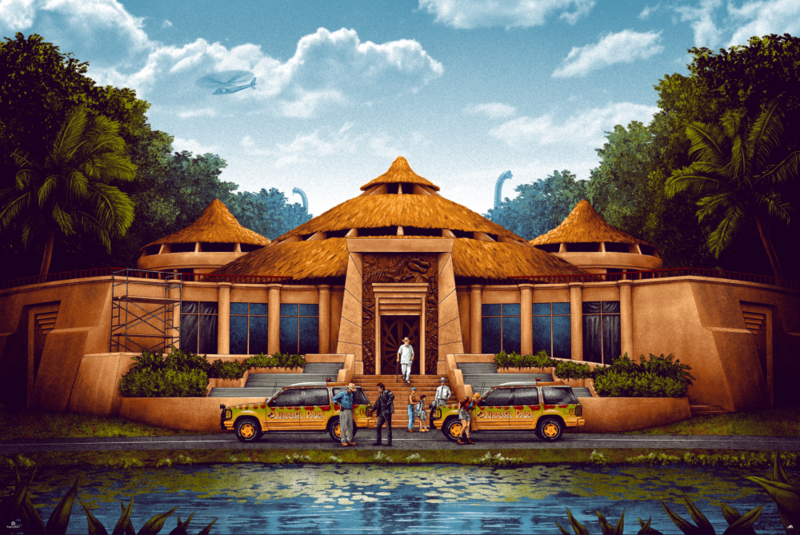 Bottleneck Gallery will have a THE LORD OF THE RINGS Trilogy Prints available soon by Richard Hilliard.